Why Equity Painters? 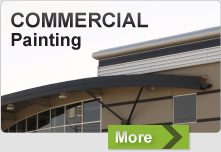 Whether you need a Commercial or a Residential Painter, our Langley painting company has the expertise to get your job done! We guarantee our work will be done within your budget, finished on time, and done right! We have nearly 20 years of experience servicing the Fraser Valley. At Equity Painters, your Abbotsford painters, we specialize in interior and exterior residential and commercial painting. We serve the Lower Mainland Area, from Hope to Vancouver and surrounding areas. Choosing a painting company is not a decision that should be taken lightly. You need a painting contractor partner with your vision. You need a painter who can bring that vision to life—but it needs to be on your terms and your schedule. That’s exactly what we aim to do. When you choose Equity Painters, you’ll experience the quality and professionalism that your project deserves. Whether you’re looking for interior or exterior painting on a residential or commercial location, we’ll be flexible to your schedule and continue to make our services convenient and responsive. From our prep work to the actual execution, we take the quality of our painting service very seriously. We understand what a huge investment a professional painter is, and we will work with you to deliver exactly what you’re looking for. We employ experienced painters with knowledge and training that will exceed your expectations. When you choose to hire experienced painters like Equity Painters, we know you expect a team of professional painters to show up and get the job done how you want it. That’s why we take the time to walk through the area with you and truly understand your vision and your needs. Professionalism is one of our core values, and it’s what separates us from our competition. You need to be able to live in your home and work in your workplace—we know that. We work around your schedule to ensure we aren’t in the way of your day-to-day life. So, whether it’s best for us to work during the day or after hours, we’ll remain flexible to your busy schedule. 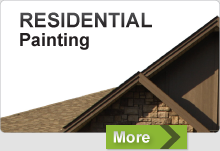 At Equity Painters, your Chilliwack painters, we pride ourselves in offering the highest quality of work. We are committed to making sure that each of our jobs are completed on time, within budget and still exceed your expectations. Contact us today!